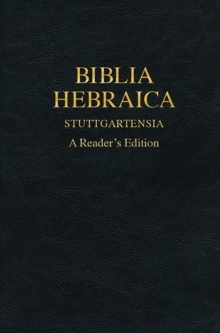 This book, put together by a team of scholars, will help readers master Biblical Aramaic. It includes various word lists not found in the BHS Reader. The book has three basic parts. The first is the Aramaic portions of the Hebrew Bible-Gen 31:47; Jer 10:11; Dan 2:4b-7:28; Ezra 4:8-6:8; 7:12-26-as they are presented in the BHS Reader, with a few modifications: (1) the biblical text has been updated to the BHL version, and (2) the grammatical and lexical apparatus includes new material and uses longer, clearer abbreviations. 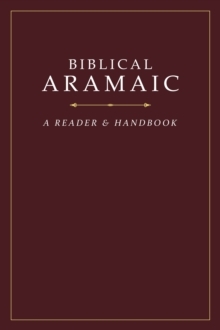 The second (very short) part of the book is a three-page glossary of the words that occur most frequently in Biblical Aramaic. 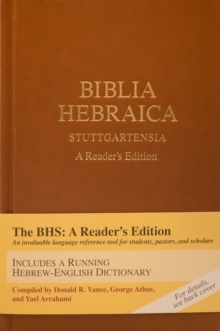 The book's third part comprises about a dozen vocabulary and verb lists (not found in the BHS Reader) that allow readers to review and master Biblical Aramaic vocabulary and grammar.